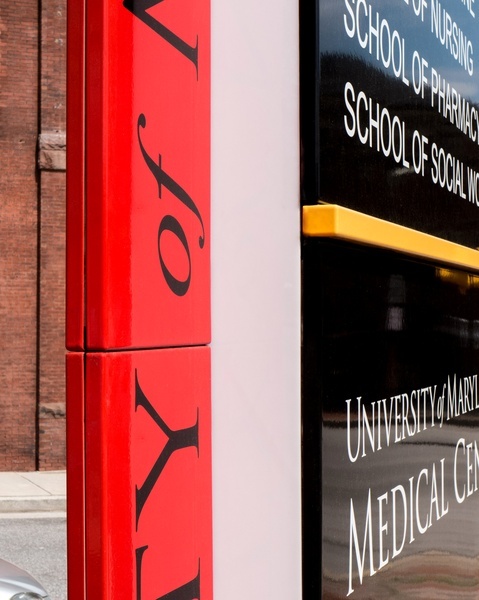 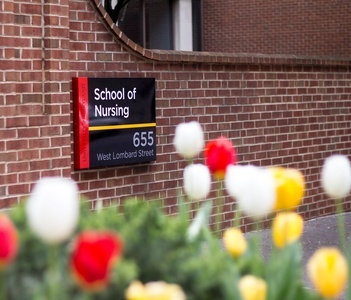 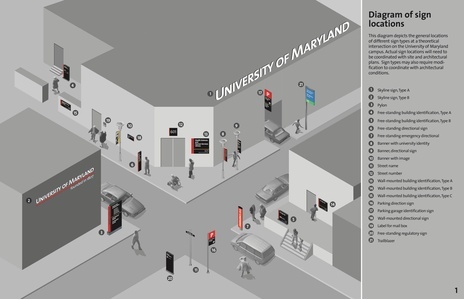 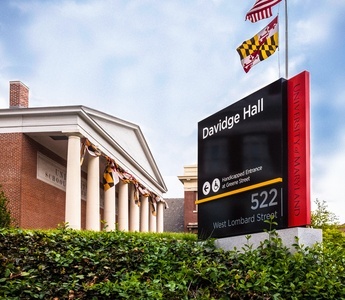 The University of Maryland commissioned C&G Partners to establish a new identity program and apply it to signage and wayfinding throughout the University’s urban campus. 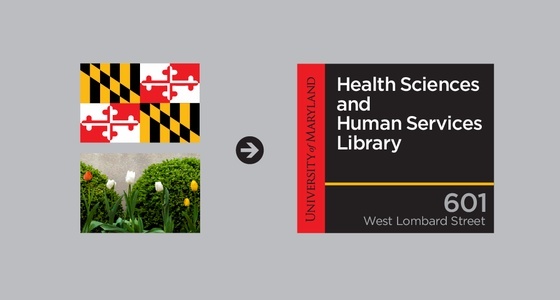 The identity incorporates the color palette of Maryland's flag to strengthen ties to the State. 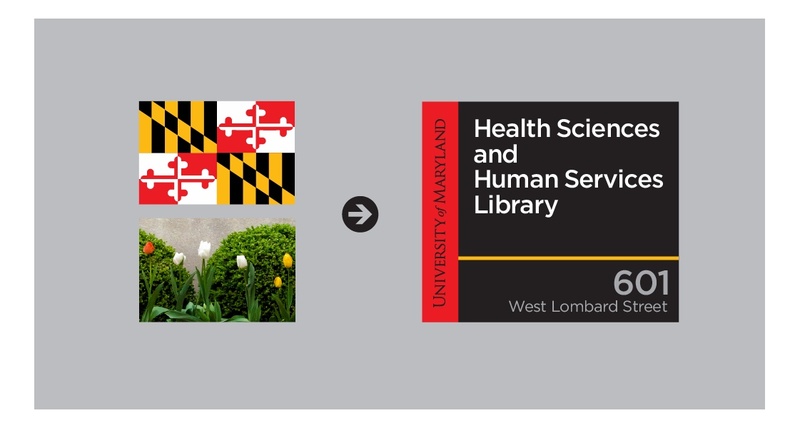 An analysis of the existing sign program was undertaken and new requirements were evaluated. It was determined that in order to facilitate identification of the University’s Schools, the new sign program needed to use addresses as the primary wayfinding tool and increase sign size to improve legibility. 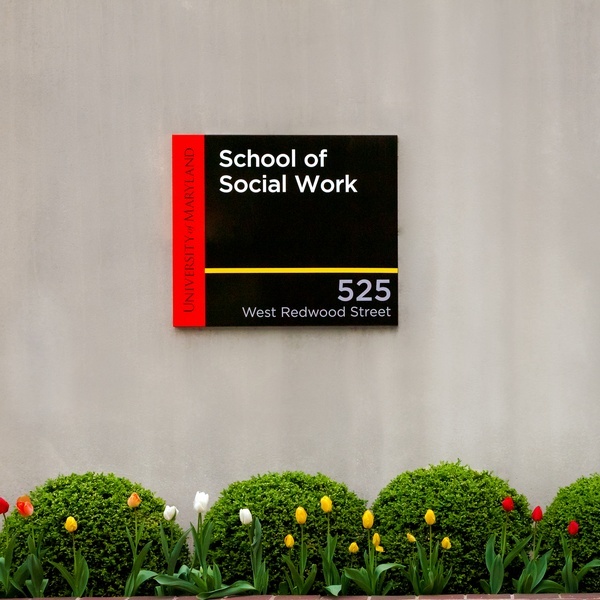 In order to reduce streetscape clutter, we proposed consolidating the School and DOT signs and placed them directly on University-maintained light poles.We created a family of sign types that have distinctive vertical red fins, black placards, and decorative yellow accent lines. 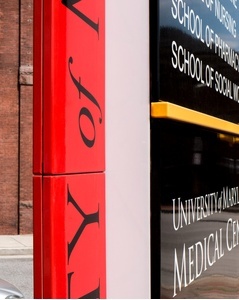 In addition to street level wayfinding, the sign system announces the University with rooftop and building facades visible from nearby Camden Yards Field and major thoroughfares. Kiosks at major intersections define the University’s campus within a bustling urban neighborhood. 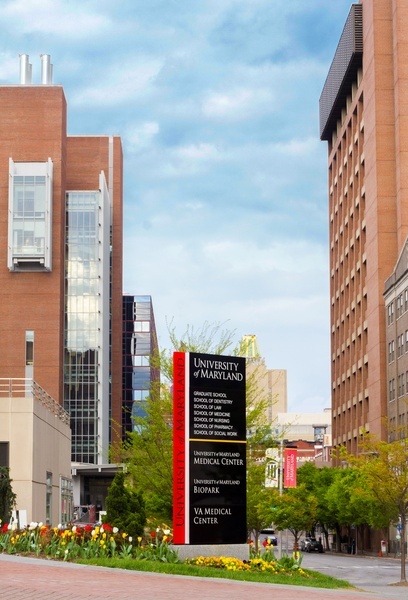 C&G Partners is currently collaborating with the University on a pedestrian sign program that directs visitors to major University destinations as well as the Medical Center’s comprehensive sign system. We are also developing the institution's mapping and campus-wide wayfinding program.